How about an adept power for Shadowrun 5e? Could Lee Harvey Oswald be a adept? Why shoot behind a wall why you can bend bullets? For every level of this power you have, reduce the cover penalty you have for firing ranged weapons in combat. 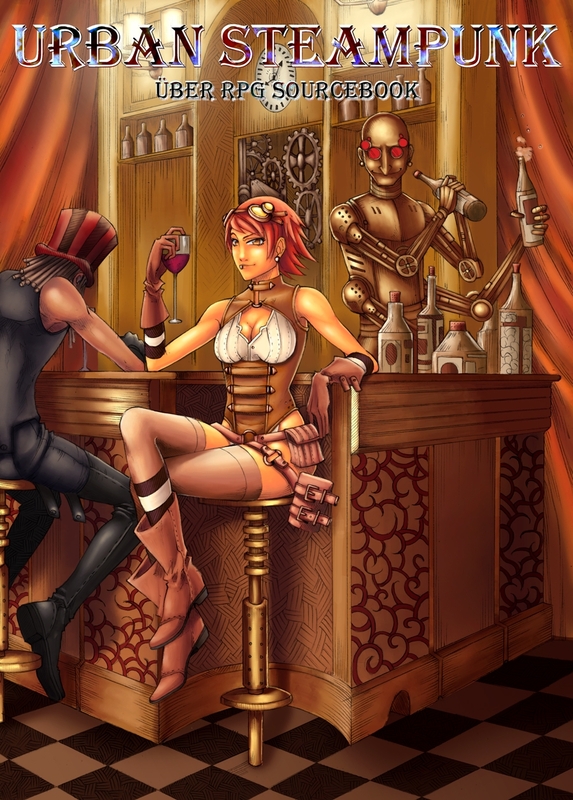 Basics-You can’t have steampunk if you don’t have a Victorian city full of machines! This book provides a perfect city of steam Ankmir to play in/destroy while giving GM’s the options to build their own world. Maybe you did so much wrong you get a chance to try again. You’ve been bound into service of a higher power, like it or not…. You were give another chance. This chance may not have been by choice, but you made the choice of your own free will…kind of. You are now bound to a higher authority who rules you with an iron rod. Step out of line again, and the creature currently trying to kill you will be the least of your problems! The Angel lets you choose from an expanded list of spells when you learn a warlock spell. The following spells are added to the warlock spell list for you. Starting at level one, gain the lay on hands class feature from the paladin. But your patron wants you to learn humility, so you may never use these to heal yourself. Starting at 6th level, when you make a persuasion check to improve your relationship with an NPC and truthfully mean your intention with no malice, you gain advantage on the check. However, you are racked with pain if you scream at or lie to others, so your first intimidate or deception check with any NPC is made with disadvantage. After using this ability, you can not use it again until you finish a short or long rest, but your penalty to intimidate and deception is always active . Starting at 10th level, you gain resistance to radiant damage and immunity to being charmed or frightened. Starting at level 14, as an action you can target a creature you can see for divine retribution. The target must make a Charisma saving throw with the DC equal to your Warlock spell save DC. If it fails, it evaporates in a pillar of light and it teleported to foot of your master where it sins are examined. Each round, at the start of its turns, it takes damage depending on its alignment. Good creatures take 2d6 radiant damage, neutral creatures take 3d8 radiant damage, and evil creatures take 4d10 radiant damage. At the end of the creatures turn it may plead to be released and sent back a with a Charisma saving throw equal to your Warlock spell save DC. The creature can also voluntarily take a geas from your master cast as a 9th level spell with no saving throw to be teleported back at the end of its turn. After using this ability, you can not use this again until you finish a short or long rest. Continuing the ideas for DnD 5e, how about some healing for a warlock. You can cast vampiric touch at will without expending a spell slot or material components. Ring Side Report-Board Game Review of Sushi Go! Basics-Hungry for some more quick sushi games? Sushi Go! is a simple family card game that follows many of the same drafting mechanics popular in 7 Wonders and Among the Stars. Players start with a hand of cards and choose a card. All players reveal their chosen cards simultaneously. Some cards are instant point cards like nigiri cards. Other cards are worth more as you gain more of the same card like dumplings. Yet others need a specific number of cards of one type to get any points like tempura where every two score points. And some are worth more depending who has the most of them at the end of the game. There are also wasabi that multiply other cards, and the chopsticks card. If players have a chopstick card, they can shout “Sushi Go!” and take a second card from the same hand of cards. After selecting your card for the round, you pass the cards to the left. When you only have two cards, you choose one card, and then throw the other into the center. After three total hands like this, players determine who has the most points and is the winner. Been teasing this one for a while. 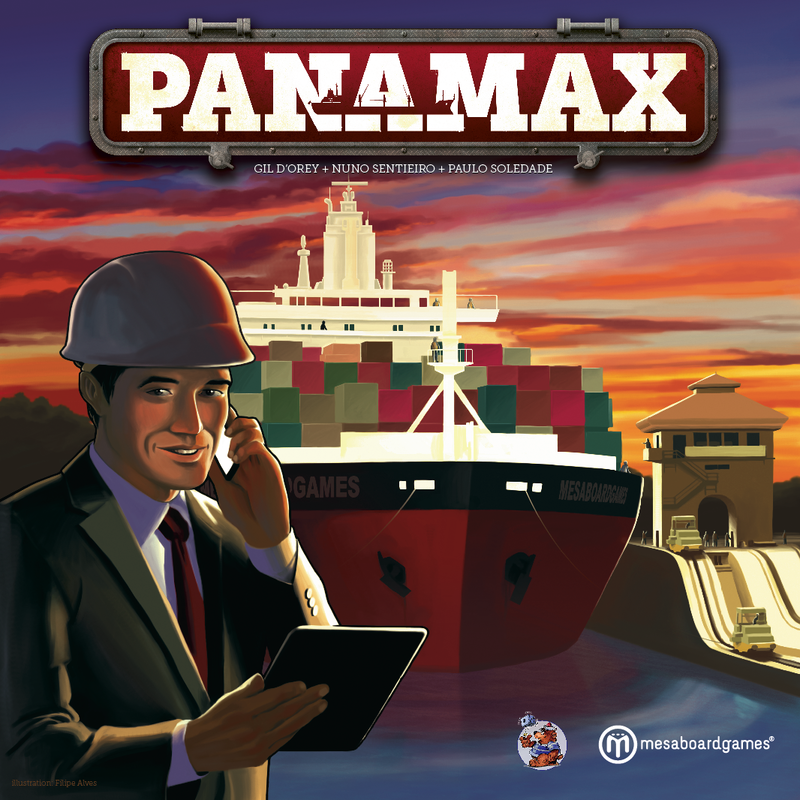 Here it is, my review of Panamax! Basics-All Aboard! Panamax is a game of becoming the best shipping moggle out on the Panama Canal. The game even gets its title from a shipping designation Panamax which means the largest measurements a ship can be and still go through the canal. This is a relatively simple to play Eurogame. During set up, players get personal stock and money, and their companies also get money as well as shipping contracts and starting boats. The shipping contracts are represented by dice on a small card with one to three numbered boxes. The numbers on the boxes are used to indicate the face up side of the dice placed on them of your color. Boats have numbers on them ranging from 2-5, 9-18, and so on. These are the minimum and maximum total dice value that can be placed on a ship. Players get a chance to load up their dice on ships on the proper sides of the canal during set up. When a player clears a shipping contract, either in setup or the regular game, they get to place a country flag marker on their companies’ board. The markers may cover extra powers such as adding shipment dice to the rail board, moving ships, buying stock, and loading extra dice. Then the main game starts. For a four player game, twelve dice are rolled, and the dice are placed in columns covering the die face it rolled to indicate different actions a player can take. At its most basic level, this game is an action selection game. Players select a die, do the action associated with it, and the turn passes. You draw three dice a round, and then pay for where your company’s cargo still is and get money from your stock options for the different companies stock you own. Sides one to three of the action dice indicate ship movements. When a ship has enough dice on it to cover its minimum value, the ship can be moved. There are two types of movements: lock and waterway. Each movement is well indicated on the board with different icons. When you select a movement die, you use a small tracker at the top of the board to show what movements you have left. When a player selects movements, they have to move all the ships that they can possibly move. Hidden in movements in a major factor of the game-pushing. The title of the game refers to how large a ship can be, and that’s the most important factor for pushing. When you move ships out of a large body of water like an ocean or lake, you can group ships together. The ships come in sizes ranging from one dice to four dice. The maximum size that can fit in one lock is four dice. So, if you would move a group of three wide ships into an area where a three wide ship already is, you push that three wide ship ahead one space. This can result in chain reactions where tons of ship will move through the canal. Mastering this will get you the win! When a ship crosses the canal, players earn money from the die’s values on the ship, and the player who owned the ship can get cards that give you extra moves, load cargo, or give you extra money at the end. Sides four to six of the dice represent loading cargo actions. Just like in set up, you take a card with different cargo values on it with the different countries. The dice you pick up will also show you how much cargo you can load this turn ranging from one to three dice. If you don’t load cargo from the warehouse, it costs lots of money per die, while having cargo waiting to go into the canal still costs a ton, but slightly less. Having cargo moving through the canal is slightly less expensive. And, just like setup, completing country cards will get you markers for each country. In addition, four more dice are rolled and these are placed on a separate area for executive actions. These extra actions allow you to buy more stock, have three unrestricted moves, load new cargo/take country cargo cards, and change the value of your stock. You can only take an executive action die after all the other dice of that number have been used up. While that’s a lot of words, this game is surprisingly simple, but deviously complex. Know when and what to do will help you maximize your income. There are also military ships, cruise ships, and rail cargo. Moving military ships will earn you a once per turn money bonus equal to the number of country cargo markers on your company’s board. Cruise ships earn your cruise ship markers that have values from 1 to 5, and you get to place that marker on your company board earning your permanent powers like extra loads and extra cargo cards to choose from. Some cargo has a rail icon next to it, and you place that cargo on a separate section of the board. Rail cargo dice number is used to change what player goes first and get you extra country cargo markers. After three rounds, you sell off your stock to the bank, count all your money, and just like life, player with the most money wins! How about a completely different way to cast spells as a Sorcerer in 5e? Magic is in your blood….., and in blood in general. Life is power, and you know how to extract power from your own life. You no longer have a Sorcery Points pool, but you add any point you would gain as hit points. You also no longer have a limit to the number of spells you can cast per day. When you cast a spell of any level, lose double the spell level in hit points. You can cast spells as long you still have positive, non-zero hit points, but you must take the damage. Cantrips cause one hit-point loss. Starting at 6th level, when you are dealt damage as a reaction you can use that hit point loss to cast one spell as a reaction. The spell level must be less then or equal to double the lost hit point total. You do not take damage for casting this spell. You can not use this ability again until you take a short or long rest. Starting at 14th, another can donate a small vial of blood to you. Another creature can take any amount of damage and donate that damage to you as hit points you can use to cast spells. A creature can take up to 30 point of damage. You can use these points of damage as you would normally use hit point for Power in the Blood. This donation of blood is usable until that creature takes a long rest. Starting at 18 level, you can now use the suffering of your targets to energize your spells. As a swift action on your turn, when you cause damage to a creature using one of your spells, you can capture up to double your level in hit points of damage from that creature. You can use these points of damage as you would normally use hit point for Power in the Blood. You must use these points within an hour. Or, the power leaves them, and they are lost. You can not use this power until you take another long rest.